"What I hope to convince you of today is that the practice of mathematics cultivates virtues that help people flourish. These virtues serve you well no matter what profession you choose. And the movement towards virtue happens through basic human desires. "I want to talk about five desires we all have.... 1) Play... 2) Beauty... 3) Truth... 4) Justice... 5) Love... "
When I do interviews here it usually takes me awhile to choose a title for the interview... for some reason, with Dr. Francis Su "A Mathematician For All Seasons" almost immediately jumped to mind as just seeming to fit. I hope all those who know Dr. Su personally, or experienced his farewell address at the 2017 joint math meetings, agree! Dr. Su is an award-winning professor at Harvey Mudd College, one of the Claremont Colleges (my old stomping grounds) in Southern California, and recent past President of the MAA. 1) Your wonderful MAA retirement address (“Mathematics is for human flourishing”) to the Joint Meetings in Atlanta in January was one of the most linked-to math tweets I’ve seen since I’ve been on Twitter. Can you tell us briefly how that talk evolved for you. Was it a long or quick process, and did you know well ahead of time what you wanted to impart? Since being elected as MAA President, I knew I'd have to give this speech. I also knew if I chose to give a standard math talk, I'd have regretted missing an opportunity to speak about important issues facing our community. Given the racial turmoil facing our country, the lack of diversity within our profession, and my unique position of being the first MAA or AMS president of color, I knew I wanted to address the theme of inclusion. And that the best way to do that would be to first paint an inclusive vision of why we do mathematics, and connect that to deep human themes. So I had the threads of the talk almost a year before, but I didn't start writing in earnest until December. I was nervous and kept rewriting my talk. But if I had started any earlier I would have just kept second guessing myself even more! 2) Within math circles we often see “mathematics” associated with “beauty” or “science” or even “wonder,” but connecting it to “human flourishing” was somewhat novel on your part. Was the word “flourishing” a sort of epiphany for you, or is it a term you’d long linked to math? I'm a fan of philosophy and theology, and the term 'human flourishing' is actually popular in philosophical and theological circles as describing the well-lived life. But connecting it to math happened when I was discussing my ideas for the talk with a good friend. So I suppose you could call it an epiphany. 3) As I ask most interviewees, do you recall what first attracted you to mathematics, and when did you know you wished to pursue it professionally? I discovered by love for math as a kid. My parents gave me math books to read and I enjoyed working on puzzles. I began to get a glimpse of real math when my dad gave me a book on Fermat's Last Theorem. That book had a proof that every Pythagorean triple is of the form (p^2-q^2, 2pq, p^2+q^2) for integers p, q. And I thought that proof was beautiful! These days I study geometric and topological combinatorics. You can think of that as combinatorial problems where geometry or topology play a prominent role. So, for instance, the study of triangulations of polyhedra. A question I've worked on is: what is the minimal number of n-dimensional tetrahedra you need to build an n-dimensional cube? A unique niche I've carved for myself is applying mathematical methods from this area to answer questions in the social sciences. 5) If you were dropped on to a desert island with at most 3-4 math-related books to occupy your time (and mind), what would they be and why? And how about non-math books? 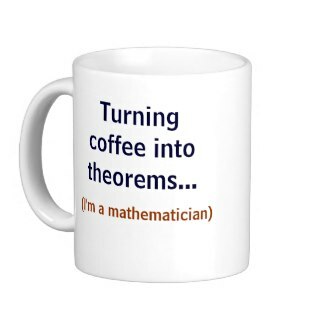 6) If you could pick one deceased mathematician (who you never knew) to sit down and have coffee with and discuss mathematics, who might it be and why? Blaise Pascal, for sure. I'd love to discuss both mathematics and theology with him. 7) Given the ongoing harsh arguments about how secondary math education ought proceed in the U.S., how confident are you that it is headed in the best (or at least, a good) direction? Also (optional), do you care to express any concerns about math/science education, more generally, going forward under a Trump Administration? I think secondary math education is generally headed in a good direction. For instance, the Common Core is a good set of standards and most states have some version, even if (due to political posturing) they rejected the title Common Core. More needs to be done by all of us to support our teachers, to ensure that curricula (which aren't part of the standards) are written well, and to discourage schools from going overboard with testing (a separate issue from the standards). It remains to be seen what happens to math/science education under a Trump Administration, but I do think we need to help our students see that facts matter, that telling truths matter, and that their math education really can help them to think critically about the claims they encounter and to be people of intellectual integrity. 8) When you’re not doing math, what are some main interests/hobbies/activities you enjoy? I enjoy photography and gardening. For similar reasons as why I love math: there's beauty in the interplay between structure and freedom, and there's playfulness and artistry in the choices I make. 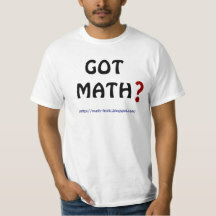 Thanks Dr. Su for participating here, and more importantly for your years of service/devotion to the math community. And may structure, freedom, playfulness, and artistry be a part of all our lives as you so encourage! …and Sunday morning come right back to MathTango for interview #41 in that series. 11) At Math-Frolic this week I briefly looked at a physics book and yesterday reported the news of Raymond Smullyan’s death.